The last few decades have witnessed the rise of people who made their fortunes off the internet. Some of these enterprising individuals built companies from an initial idea to global behemoths worth billions, while others became rich by investing in the stocks of internet-driven firms such as Amazon, Google, and Facebook. Now, a disruptive new technology is taking the world by storm and fortune is ready to favor the bold as Blockchain technology has slowly, but strongly gained mainstream adoption. 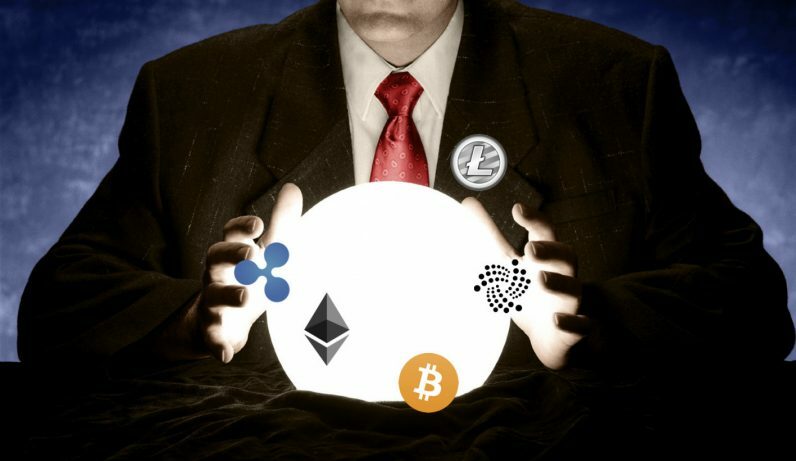 Cryptocurrencies are here to stay and Wall Street investors are gradually warming up to the idea that there’s huge fortune to be made off cryptocurrencies. Bitcoin is probably the most popular cryptocurrency on the market as the coin has outperformed every other asset class. In the year-to-date, Bitcoin has rewarded investors with 666.2% gains and is up by an incredible 3,000% in the last three years. Many potential investors missed the opportunity to invest in Bitcoin in its early days; and now, not many people can afford to buy Bitcoin at the current price (at time of writing this post, a little over € 7,900) Other relatively newer cryptocurrencies such as Ethereum and Litecoin are also moving very fast as the cryptocurrency market continues to expand. Interestingly, potential cryptocurrency investors can still find opportunities to invest in the next Bitcoin by buying into newer cryptocurrencies just fresh from their ICOs. Yet with more than 900 cryptocurrencies available for trading on different exchanges, it might be somewhat hard and overwhelming for an investor to know where to start. This article provides precise and concise information on tools you can use to discover new ICO’s and cryptocurrencies in order to make informed decisions. Top ICO List is your one-stop-shop for discovering potential blockbuster ICOs in the cryptocurrency market. Top ICO offers a list of all ICOs but it goes the extra mile to categorize the ICOs to give you a list of the best upcoming ICO. Top ICO also provides insight on some of the best currently active ICOs and it provides information about past ICOs so that you can have a base for benchmarking the performance of any ICO that interests you. Top ICO list also serves a platform where you can find curated whitepapers and one-pagers of ICOs instead of navigating through multiple web pages to access the whitepapers of different blockchain startups. ICO Bench is a professional ICO grading website that utilizes crowdsourced ratings from expert crypto traders and crypto experts. These experts evaluate the project and look for many different parameters (such as the team, the hard cap, and the white papers) and grade it accordingly. In addition, an assessment algorithm provides its own rating, based on 20 criteria. An ICO can earn up to 40 points in this assessment. Afterward, this rating is combined with the experts’ ratings to calculate one final score. CoinGecko is still in public beta testing but it has proven to be a priceless tool for cryptocurrency traders and investors that want to be ahead of the market. CoinGecko simply provides a real-time ranking of live cryptocurrencies across multiple exchanges. A single glance at CoinGecko provides insight into the cryptocurrency, price in real time, and the percentage gain/decline in the trading session. CoinGecko also provides information on the market cap of different cryptocurrencies. In addition, CoinGecko gives insight into the development and community activity of the coin to show if developers are still backing the stock and it shows if it has a strong community of users. Smith + Crown provide access to a suite of “indexed public research which has been tagged and summarized for reference and discovery.” The firm also maintains a repository of a curated and comprehensive list of upcoming and active ICOs. The company provides a simple summary for all of the ICO’s on the list (the name of the project, a short description of its ICO, and the start and end date of its token sale). For some of the listed ICO projects, Smith + Crown also offers more in-depth research (for instance a review of the whitepaper, research into the market, and commentary on the team’s strategy). In addition, Smith + Crown offers insight on the availability of detailed information on the founders of an ICO, the availability of its project code and whether the ICO is open to U.S. investors. The aforementioned tools are mostly designed to help you in your research and due diligence before you buy into any ICO or cryptocurrency. Cryptowatch, however, is designed to help you improve the odds of your trading success after you might have bought any cryptocurrency. Cryptowatch provides a live feed of hundreds of cryptocurrencies across eight different exchanges. Cryptowatch’s live feed also tracks the cryptocurrencies across different currencies so that investors in other parts of the world can know how specific cryptocurrencies stack against their fiat currencies. Now that you have gotten your hands on useful tools that can help you discover new ICOs and cryptocurrencies, you’ll need an exchange that helps you get an edge in the market. EXMO is an excellent cryptocurrency exchange that will launch its own EXMO Coin token crowdsale on April 26, 2018, to power the margin loan service on its platform. Users will be able to trade their crypto assets with a leverage, and international token holders will receive another profitable asset on the cryptocurrency market. This post is brought to you by EXMO.